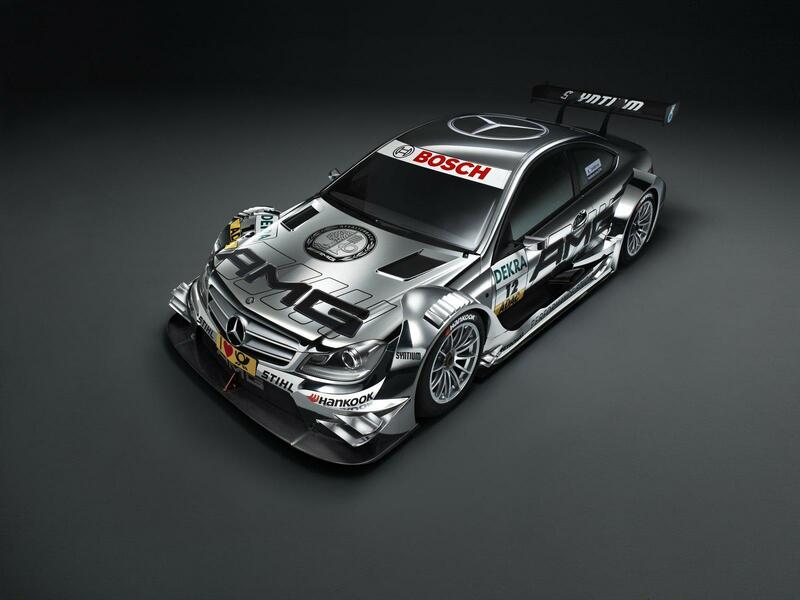 Yesterday, Michael Schumacher and Nico Roseberg took wraps off Mercedes' new DTM machine at the Frankfurt Motor Show. 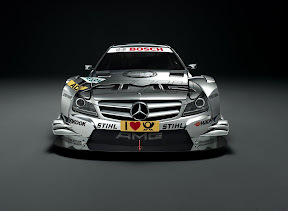 The new racer packs out 500 Hp coming from a naturally aspirated 4.0-Liter AMG V8 unit. 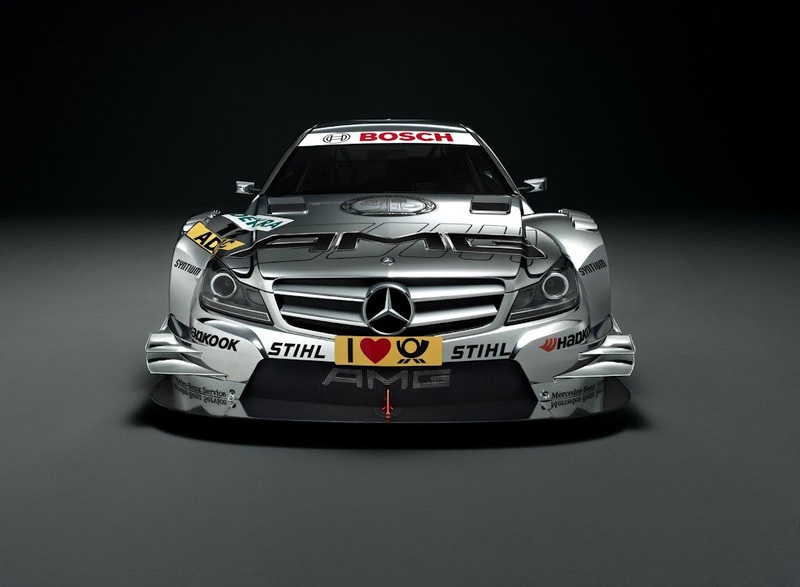 It has a carbon fiber monocoque chassis and has a total weight of 1043 Kg (2300 pounds). 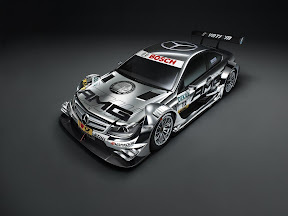 Competition will be ferocious as the new C class coupe based DTM racer will compete against Audi and BMW which are also entering the series with two brand new racers based on production coupes: The Audi A5 and the BMW M3. And let's not forget that BMW is coming back to the series after an 18 year absence.